Sitting down at work for 8 hours a day compresses discs in the spine by encouraging poor posture, leading to musculoskeletal injuries and back pain. 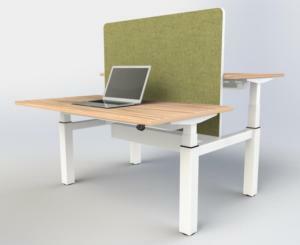 Sit-stand desks encourage the spine to lengthen in to its natural position, reducing pressure on the discs. Our range of electric sit-stand desks include a model suited to all individuals and all environments, from small offices to industrial warehouses - with many shapes, sizes and weight capacities available. Alternating between sitting and standing as often as you can encourages you to move more during the day, promoting blood flow around the body and strengthening countless small muscle groups involved with posture and coordination. In an age of increasing body weight, using a sit-stand desk can also help efforts to lose weight, burning far more calories per hour than sitting. There is significant reduction in the severity of muscular discomfort and spinal shrinking from standing up regularly when compared with sitting. Sit-stand desks avoid 'static loading' (muscles working continuously to hold the body in position) which alleviates stress on the muscles to prevent injuries occurring. Sitting flattens the natural lumbar curve of the spine, causing uneven pressure on the inter-vertebral discs. 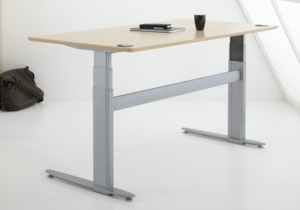 A sit-stand desk encourages the spine to lengthen into its natural position, reducing this pressure on the discs. Sit-stand desks have been shown to increase focus and attentiveness, with people working at sit-stand desks reporting an ability to focus for longer and better divide work and break mentalities. The benefits are felt by both the individual themselves through better health and posture but also by the organisation through increased productivity. 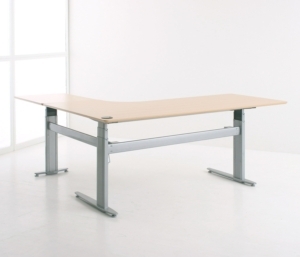 Sit-stand workstations also work perfectly for hot-desking offices, as they can be adjusted to the heights of any person using them. Allowing each user to set the desk to the correct height for them ensures that they can also set their chair up correctly for optimal posture support. 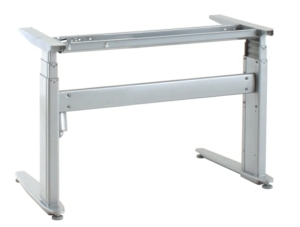 One drawback of on-desk sit-stand workstations such as VARIDESK is that they significantly reduce desk space and require a form of muscular excursion. 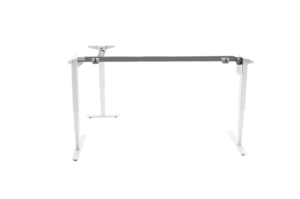 With an electric sit-stand desk, the full desk space can be utilised and adjustment couldn't be easier with a simple button switch operating the raising and lowering of the desk. 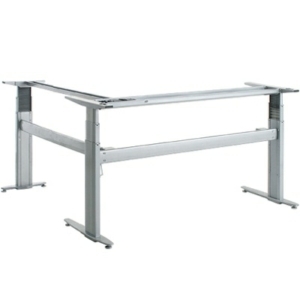 Why purchase one of our Conset sit-stand desks? We have an incredible range of sit-stand desks to suit any business needs or individual preferences, and can provide a range of options for any budget. 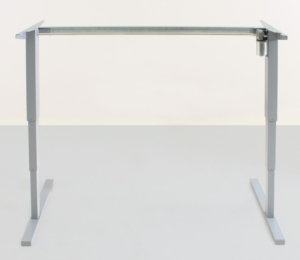 Each Conset sit-stand desk is supplied with a five year guarantee and are constructed with strong steel frames. 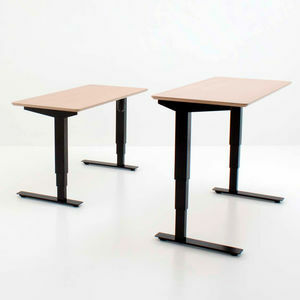 Our Conset sit-stand desks can also be used within environments where sockets aren't available by using a battery pack. 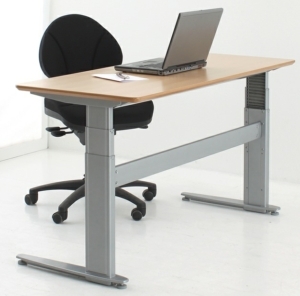 Conset also supply programmable hand controls so your required height settings can be saved for the correct desk height every time you sit or stand. So don't just sit there! Stand there! 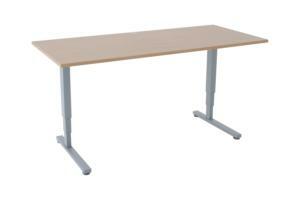 Check out our full range of sit-stand desks today!